Maybe it has something to do with getting older, but for the past few years, I have had less of a desire for birthday things and rather look forward to having fantastic birthday experiences. Last weekend, I turned 33 and I wanted nothing more than to hang out with my two favorite ladies: Ligeia, of course; and Dani, a rescued elephant at Elephant Nature Park. 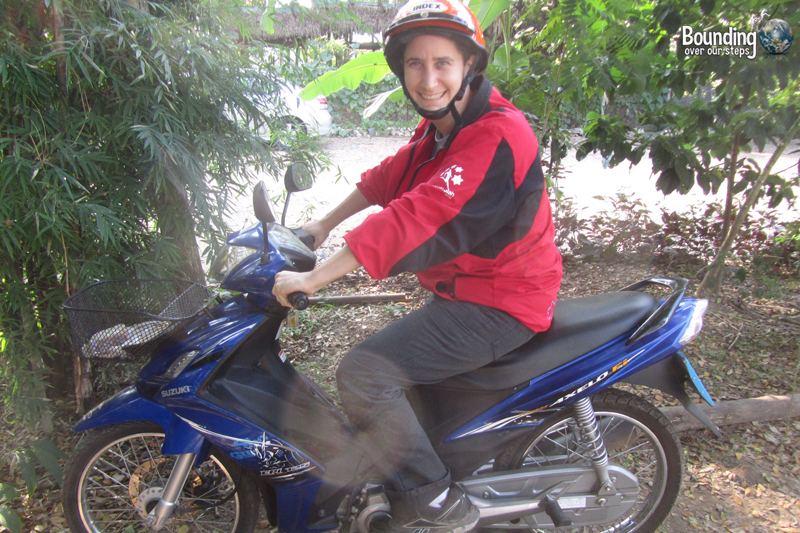 We spontaneously decided to rent a motorbike to ride the 65 kilometers north of Chiang Mai, instead of being shuttled in the normal passenger van, and thoroughly enjoyed the ride into the Mae Taeng valley. With numb back ends from the 2 hour drive, and walking like sore cowboys, we headed straight to the river to join Dani at bath time. This has always been my favorite time with her. 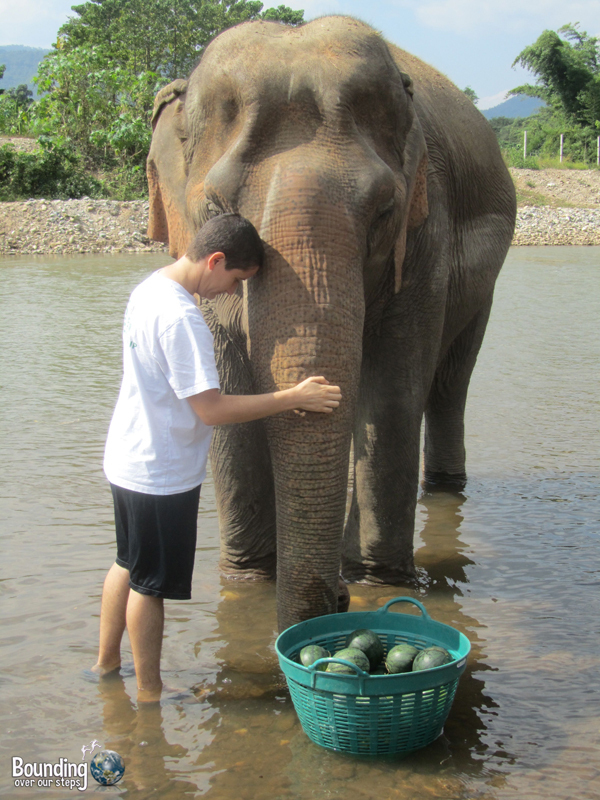 I stand beside her, feeding her watermelons and bananas one at a time. It’s the only time during my visits that I can be at eye-level with her. Relaxing up on the platform, watching elephants roam and giving some of the dogs a good scratch behind the ears was a great way to spend a couple of hours. 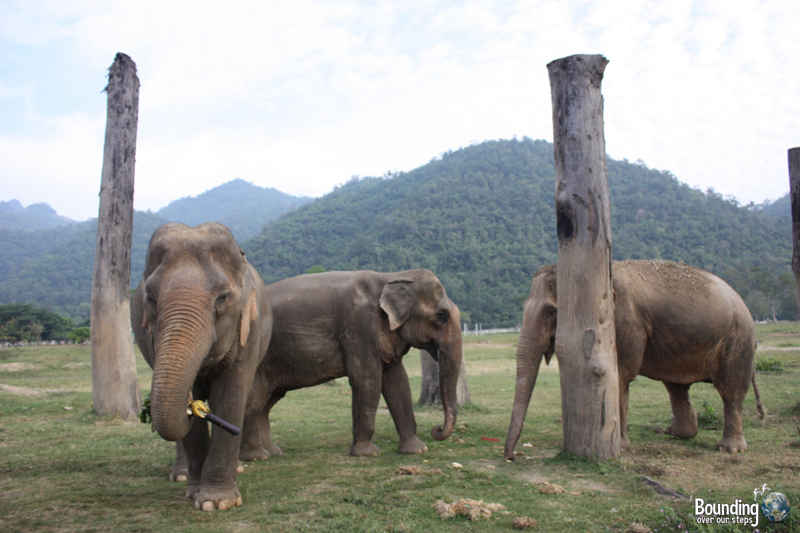 When Dani and her friends – Mae Boon Ma, Mae Bua Loy and Lucky – returned to the platform for their afternoon meal, I knew that my first day with the elephants was winding down. As always, I hand-fed Dani the rest of her daily banana quota, and watched her wander off to her shelter for the night. As it was a Saturday, the dinner was a traditional Thai meal, served with sticky rice, curries, and salads. Unfortunately, my tastebuds still can’t quite handle the traditional spice level, so much of the food remained untouched. 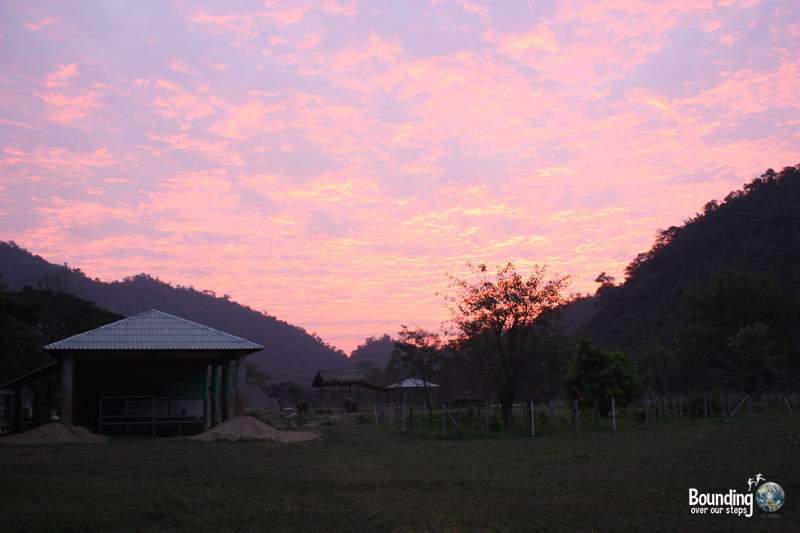 The next morning, we woke up early to catch the sunrise. Watching the valley lighten up, with the clouds being set on fire, and watching the sheltered elephants come into focus, was a spectacular way to start my birthday. We headed straight to the Tree Shrine, a memorial for all the fallen trees, victims of the logging industry. 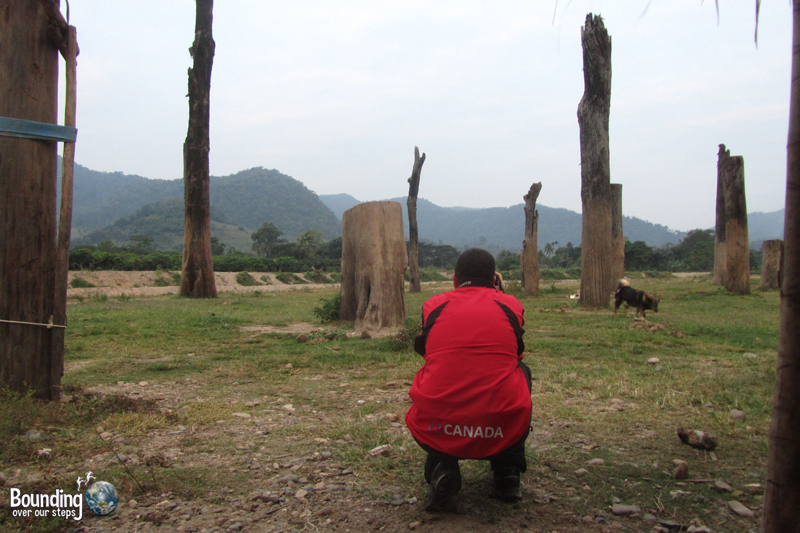 Dead trees that had been pulled from the river have been replanted, standing upright to make a small forest, now mostly used as elephant scratching posts. As part of their daily routine, the Tree Shrine is where Dani, et al come first in the mornings. They joined us in silence, and we watched them meander around us, slowly warming up from a chilly night. Another highlight of my birthday was being able to Skype with family and friends from the platform and introduce the elephants that have become so dear to me. Of course, Dani was a true lady, and politely came over to say hello! To cap off a fantastic birthday, Ligeia surprised me with a delicious, vegan cake, which took considerable planning as the restaurant that typically served it closed down a few months ago! All in all, my 33rd birthday was definitely elephantastic and will definitely remain a favorite in my memory bank. Trunkfulls of thanks to everyone at Save Elephant Foundation for helping to make my birthday so memorable, from ensuring a comfortable night’s sleep to arranging the hard-to-find vegan cake. Thank you Lek, Darrick, Pom, Patty, Teloh and, of course, Ligeia. What has been your favorite birthday experience? My favorite birthday experience was my first one in Chiang Mai, last year. I had only been here a few months, but that night nearly everyone who had crossed my path in those first months came out to celebrate! It was so wonderful. This birthday at ENP sounds amazing! It’s such a pleasure to read your blog postings and to see the beautiful photos! I think it would be fascinating to many thousands (or millions?) of people if they got the chance to discover Bounding Over Our Steps. I’ve never been there but everyone who seems to go absolutely loves it – in fact I’ve recommended it to other people because I hear such good things! Hi Ayngelina. Thanks for reading our blog! A visit to Elephant Nature Park should definitely be an item on everyone’s bucket list. It’s one of our favorite places on earth! We can’t think of a better way to celebrate a birthday!! What a wonderful life you both have! 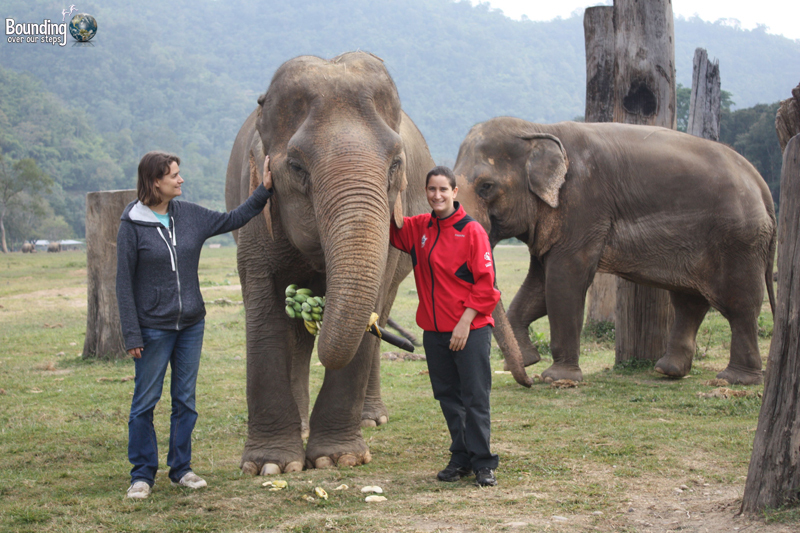 We are missing you both and the eles, but we’ll be back in the new year! Yay for Vegan birthday cakes!! Can’t wait to see you both and catch up on all your amazing travels! I’m with you — I’d much rather DO something cool than HAVE something cool. Especially if the doing something cool is hanging out with elephants! 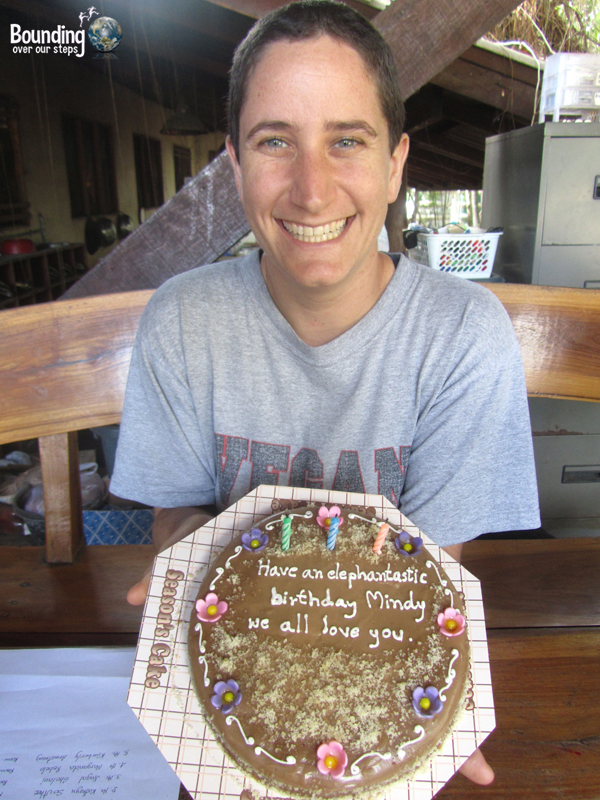 Happy birthday Mindy! Oh< I am filled with envy, this is so cool, I wanna swim with them and never exploit them, elephants are my passion. 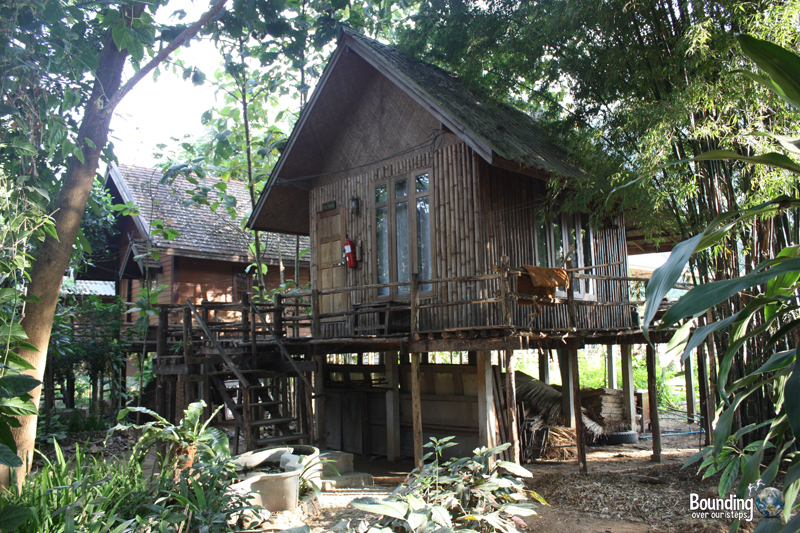 Love the darling cabins that you stay in and also the fact they serve vegan food there, how wonderful. I am 20 years older than you, but who cares when it comes to saving elephants and all creatures. I just read your post and found it very interesting. I will be visiting Thailand for the first time by the end of October with my boyfriend and couple of friends. My boyfriend’s birthday will be on the 31st of October while we’re in chiang mai I guess, and I’m searching everywhere for ideas/experiences to do to make his 27th birthday memorable! We are all in for awesome experiences and wild activities. Been looking everywhere to find a typical thia birthday celebration, even if it involves going to temples or meeting with monks. Whatever is it I’ll do it. Can you please help me with ideas to make this day as special as it can be? Thanks in advance for your or anyone’s help. There are so many wonderful things to do in Thailand that it can be hard to choose. But based on what you wrote, I think you most enjoy doing the Pamper the Pachyderm tour with Elephant Nature Park, followed by an overnight there. Being there overnight is fantastic! But be sure to book WELL in advance as overnight rooms fill up VERY quickly!